No!no! Professional Hair Removal System is a new concept in hair removal. It works by using a new technology called Thermicon. This uses a thermodynamic wire to conduct heat to the hair. So basically, it burns the hair! No!no! says it's completely painless, doesn't cause skin irritation, ingrown hairs or rashes. It can be used on face, legs, bikini or arms. It is suitable for any hair type, but it will take a few weeks before you start seeing results. The review on bellsugar.com says, it won't remove hair completely but it will minimize hair growth dramatically. You need to put the time into achieving these results though as it can take 20-30 mins, three times a week, over a couple of months before you see much difference. The reviews are quite mixed for this product. Some users say they have had great results, while others think it's a waste of time and money. Personally I think some people haven't been consistent in using No!no correctly. If it's not used correctly you won't get the desired results. It has specific instructions on how to use it, and they need to be followed exactly to the letter. Water, SD Alcohol 40B, Cyclomethicone, Dimethicone, Butylene Glycol, Aluminum Starch Octenylsuccinate, Larrea Divaricate Extract, Fragrance, C13-14 Isoparaffin, Glycerin , Lecithin, Magnesium Aspartate, Phenoxyethanol, Sodium Cocoyl Amino Acids, Carbomer, Triethanolamine, Tocopheryl Acetate, Green Tea Extract, Acetyl Dipeptide-1 Cetyl Ester, Laureth 4, Methyl Paraben, Propyl Paraben, Ethyl Paraben, Isobutyl Paraben, Butyl Paraben, Trisodium EDTA. 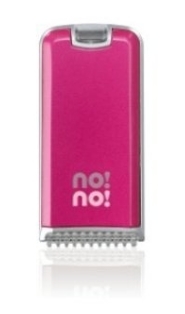 No!no Professional Hair Removal System can be found priced anywhere between $150 and $250, so you'll want to shop around for a good price. You are currently browsing the archives for the Laser Hair Removal category.